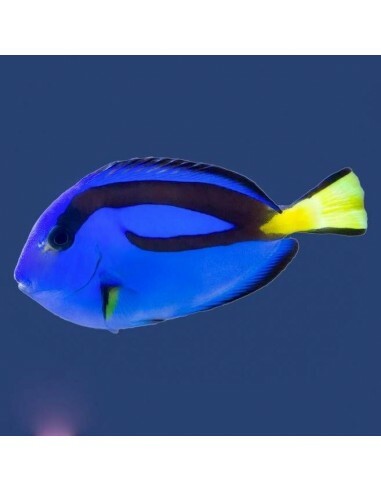 The Pacific Blue Tang or Regal Tang is a very popular fish for the marine aquarium. He is an active swimmer and will be with his striking blue colour a beautiful and present fish in the marine aquarium. He should be kept in an aquarium min. 6ft long. For best care, it should be housed in an aquarium of at least 180 gallons with ample room to swim. 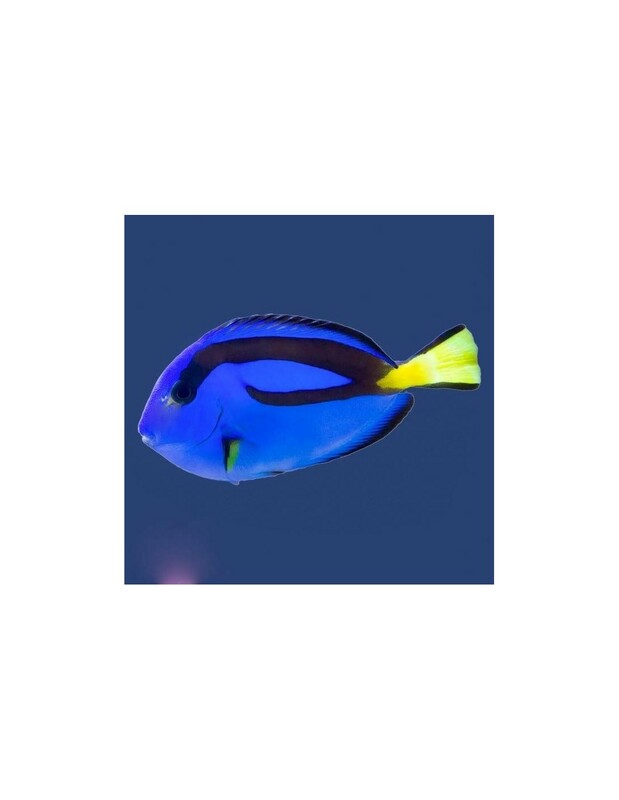 The Pacific Blue Tang is a very territorial marine fish and can be very aggressive towards other Tang Fishes. Therefore it is better to keep just a single Tang Fish in the aquarium unless multiple Tang Fishes are introduced at the same time.